Your style + a bike = brilliant! 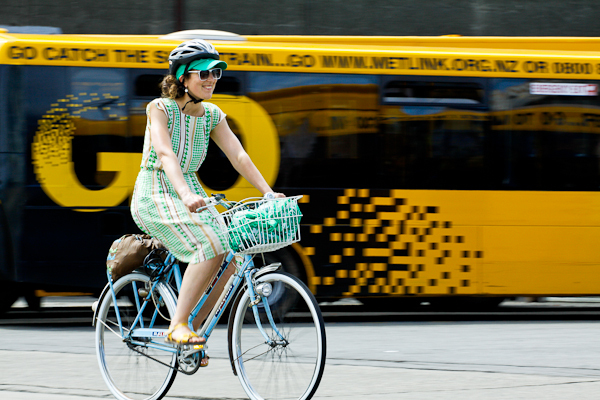 Frocks On Bikes exists to help you get on a bike. No stress, no fuss, no need for lycra. Just freedom, convenience, and fun – in your own style! Biking from A to B can give you loads of things we all love – more time, more money, more confidence, more freedom! 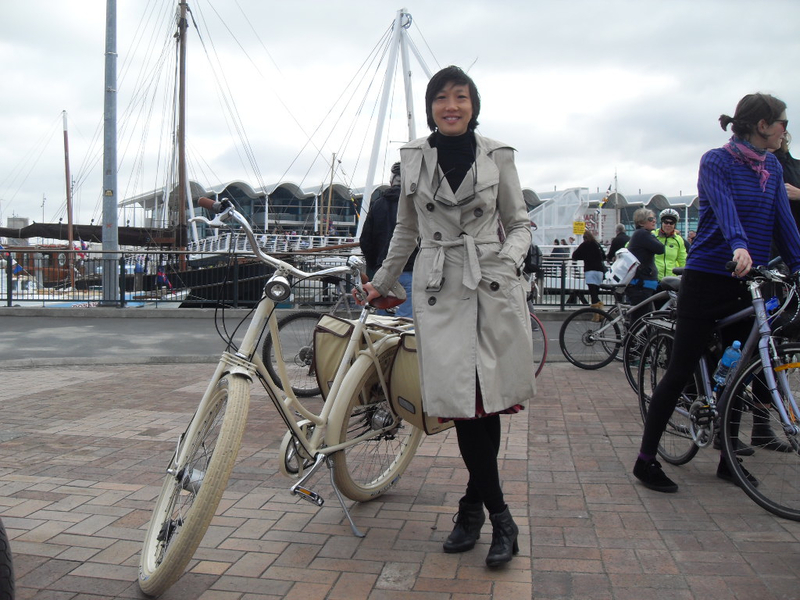 But NZ can be tough for everyday cycling, especially for women. 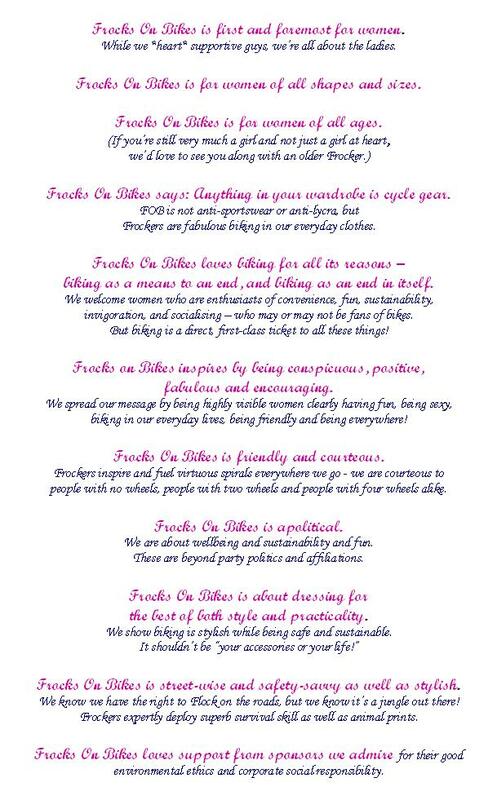 So Frocks On Bikes holds events and provides services to help women “over the hump” and onto a bike – in their own way. Frocks’ kaupapa is at the heart of how we roll – read it here. It boils down to this: you can ride however often you want, at whatever speed you like, in whatever you like to wear – yes, even a frock! …you might enjoy knowing you’re helping make your city more people-friendly and sustainable – without even trying. I want to get rolling! Or if you prefer, just get inspired and hit the road! Everyday riding from A to B doesn’t have to be “with” or “through” Frocks On Bikes. We just want you to get out there and enjoy the freedom – safely, confidently and looking great! – we’ve everything you need to start a Flock easily. Questions? Comments? Ideas? Offers? Just email the Frocks On Bikes Mothership! If you have get-up-and go, organisational savvy, bright ideas, initiative and know how to rock the Frock, get in touch pronto.